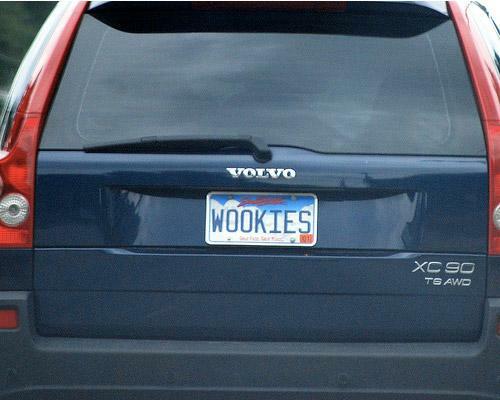 Star Wars and vanity license plates come together at last in this fun infographic. Vanity license plates are real big here in the US, and it's always a fun little game trying to piece together what they're trying to spell out. Star Wars spaceships don't have license plates, but if they did, we'd like to see what funny messages they're trying to spell out. That's where Simply Show Plates came in, creating this fun infographic with a variety of license plates. Can you guess which one matches which character? What do you think? How many did you guess right? I got most of them right. #9 I didn't know from not really watching the Rebels show. Some are difficult to translate. I've always said that putting something on your license plate that only you know what it mean is dumb. And the average person is not going to get most of those. Ha, some of these are a little difficult to translate. I need a Star Wars translator! I didn't get all of them, but these were fun to read. that was fun! i got most of them - i guess i'm a geek, but i don't mind. thanks for the star wars game - love it! DALEK GARY is "Doctor Who" Meets "The Office"